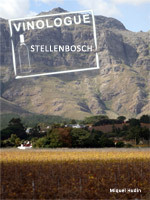 Annoucing the release of our Stellenbosch Guide! One of the oldest “New World” regions, wine has been produced in Stellenbosch and Cape Town at large for more than 350 years. We’re happy to announce the release of our Stellenbosch guide on Amazon, Barnes & Noble, and Apple iBooks. Want to know the story of Pinotage or the Cape Blend or just where Goede Hoop winery is? It documents the wine, wineries, how to get to them, and the beauty that is South Africa. It’s just $3.99 USD and available now. Maybe the holidays left your wallet a bit light? We definitely know how that is, which is why you should go and Like our Facebook page. We’ll give 10 lucky people a free copy, just for being fans.